Wherein my Turquoise TWSBI ECO (Fine) is paired with Diamine Aqua Lagoon. 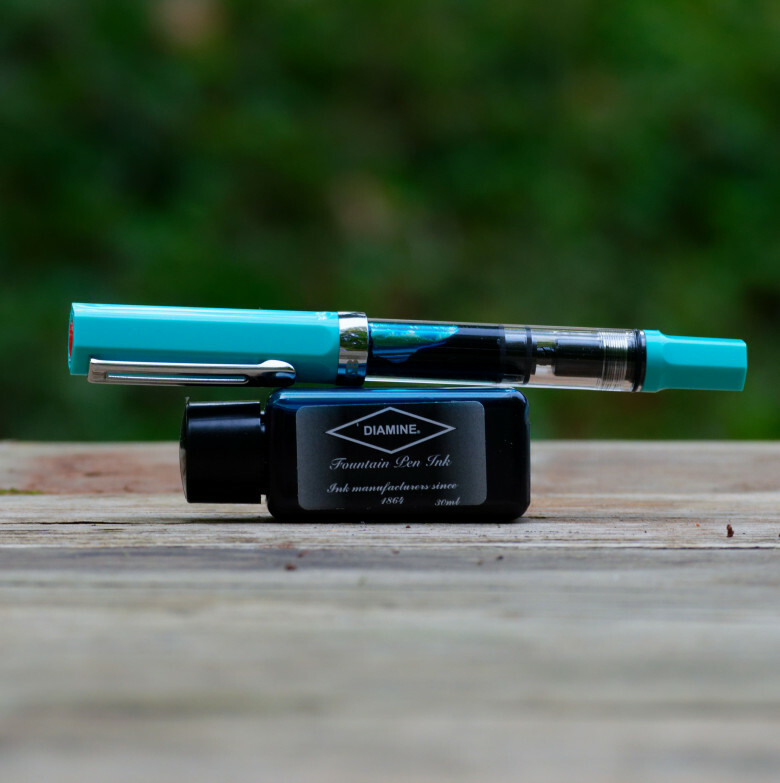 On August 7, 2017 my Turquoise TWSBI ECO (Fine) joined its comrades when it was filled with Diamine Aqua Lagoon. I refilled it once; the last refill was on May 22, 2018 . The pen was in use for one year and was emptied and cleaned on March 19, 2019 , saying good-bye to its fellows. I got a new pen and I wanted to ink it up. I expect I will not write this one dry as I bought this knowing I wanted to grind it down to a fine italic nib. It’s funny how life turns out. My intent was to quickly test the pen, then grind the nub. Instead I wrote it dry twice! I like the pen as-is and the ink was really fun to use. I’m a tad sorry to see it go, but there are other combinations I want to try.